Rania Bountouri gives to every woman who requests from her to reveal the beauty secrets of tv stars. Rania Bountouri knows that a modern women whant ‘s to be glowing and beautiful in her every look, taking notice that each one of them is special and unique. Her course in the industry started in the age of 18. At that time she started her educational training in professional make up in Greece, France and afterwards Italy. Awards and honors go hand in hand with successful business partnerships and also frequent seminars abroad by renowned international make up artists. In 2001 she was awarded with the first prize in the National Greek makeup art competition and then she won 3rd place in European competition at Berlin. 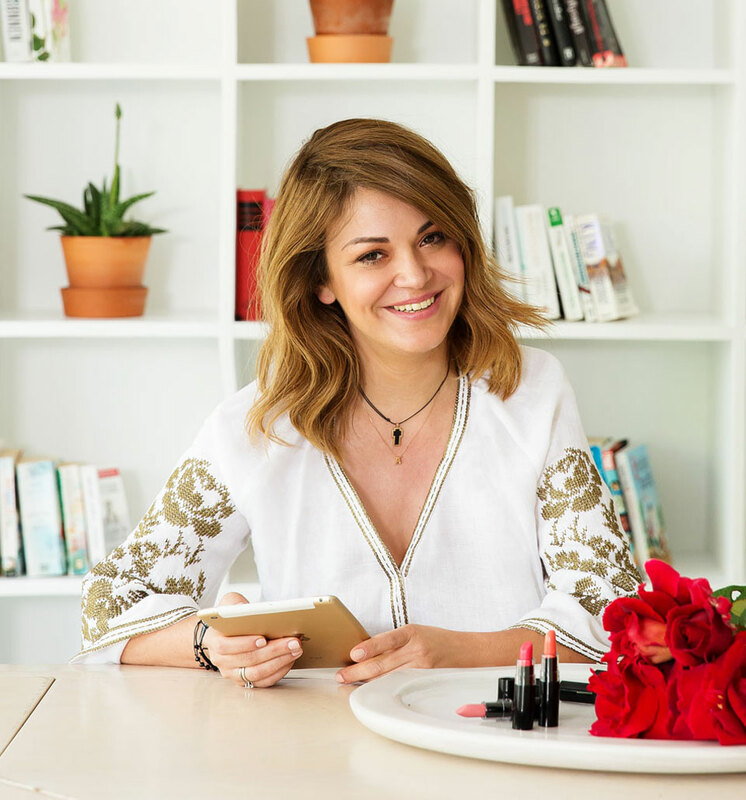 Her precious experience led her in to 2003 to create her own cosmetics company “ Make Me Up” which imports high quality and aesthetics beauty products, always under the influences of the modern trends from all the international fashion catwalks. From her magical hands have past the most popular and famous Greek women and men, personalities from the national star system, like Tatiana Stefanidou, Vici Kagia, Katia Zigouli, Peggy Zina, Fay Skorda, Ivoni Bosniac, Maria Mpekatorou, Dorothea Merkouri, Duchess Nomikou, Mimi Denisi, Maria Nafpliotou, Elena Rapti, her work also maid covers for all national magazines such as Vogue, Life & Style, Ego, InStyle, Hello, Down Town and OK.
Every woman needs to fell beautiful, glowing and unique on her wadding day, something that Rania Bountouri knows very well this is why she has stand out in the field of Bridal Make Up. The company “Make Me Up” with her signature is organizing professional make up & expertise seminars and also seminars for those that have decided to invest in the beauty industry. Her daily and personal contact in her showroom with women that request from her advises, is for her internal strength to continue to explore the world of beauty and to be in a constant search for colors and new products so that “ Make Me Up” can be always ahead with every thing latest in the beauty industry.